HSBC UK Contact Centre Malta is collaborating with various Local Councils to deliver information sessions about employment opportunities at various localities. During these sessions, Maltese and foreign residents who have a good command of English and IT skills are encouraged to make the most of this unique opportunity which offers professional training, career progression, and a highly social and motivating work environment. 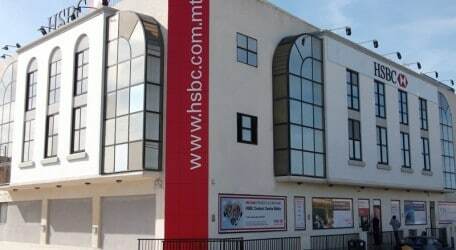 Information about the Contact Centre, including the role itself and the benefits of joining HSBC are also highlighted. Selected persons are given a 13 week full time training course geared to grow their knowledge of HSBC products and services, and to serve as a basis for individual development opportunities at HSBC Contact Centre in Swatar with various prospects of advancement both locally and in the UK. Linsey Jones, Site Head of HSBC UK Contact Centre Malta, said: “This is a great opportunity for residents to join HSBC UK Contact Centre Malta which forms part of the UK network of contact centres for HSBC supporting UK customers. The Centre currently has over 400 employees who provide assistance to UK account holding customers with their daily telephone and internet banking needs. As a direct result of the Centre’s success, we are increasing our staff complement here in Malta during the coming months. Definitely, here is an opportunity for those who are eager to learn, grow and achieve in a friendly environment. Apart from having a good command of English and IT skills, there are no specific qualifications for the role as HSBC Contact Centre will provide a full induction training programme over a three-month period for all successful candidates, during which time all participants will receive full pay.